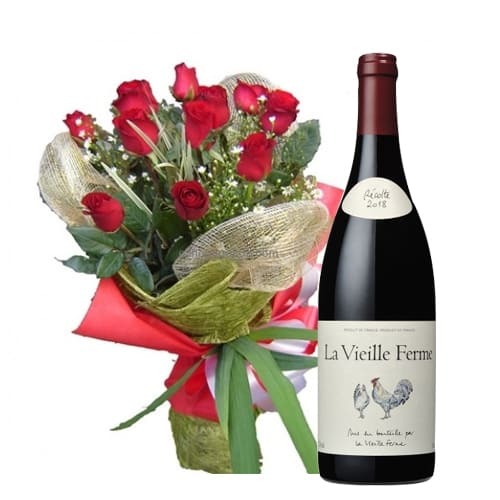 Product description: Be happy by sending this delightful 12 Red Roses with Outstanding Wine to your dear ones and see the joy it brings to their life. 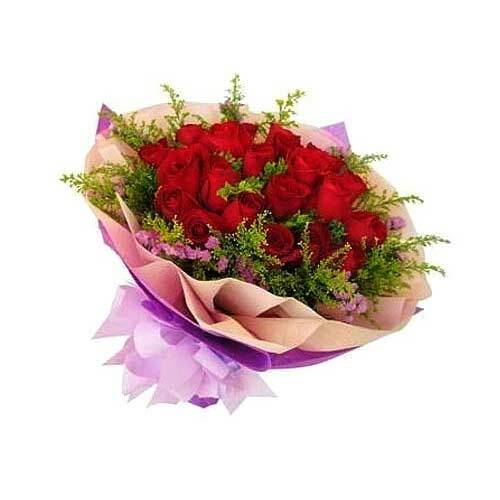 A wonderful 18 red roses for almost any occasion. 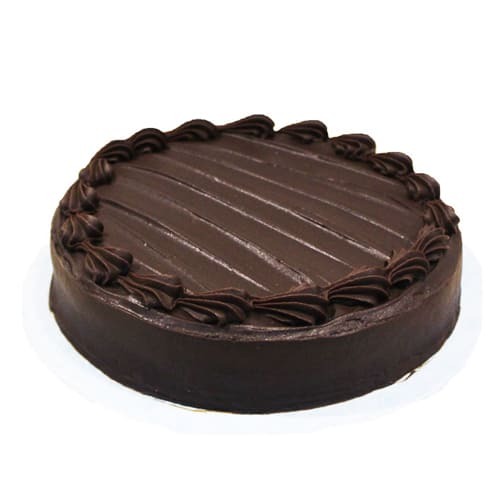 This very dense and delicious Chocolate Mouse Cake will thrill your taste buds! 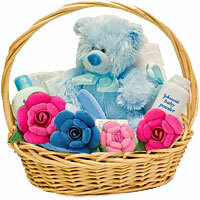 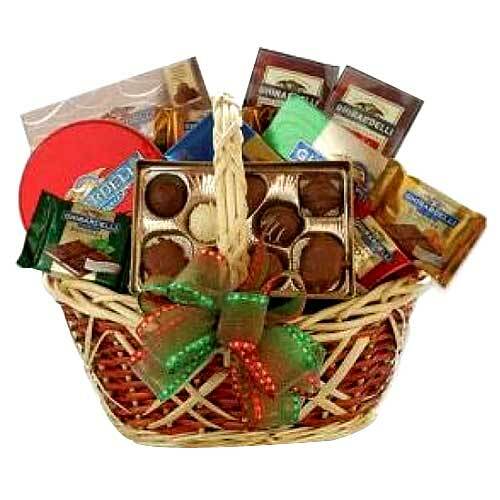 So present your loved ones and make them feel special. 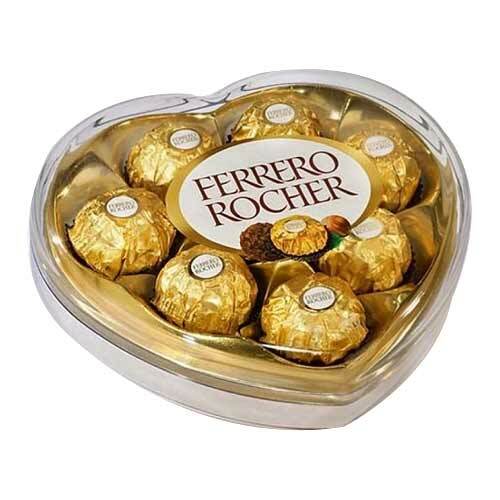 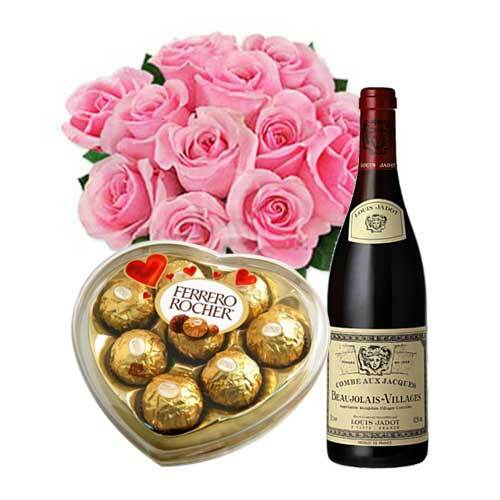 12 Pink Roses Bouquet along with Ferrero Rocher box and bottle of Red Wine is the perfect way to add sophistication and elegance into any celebration. 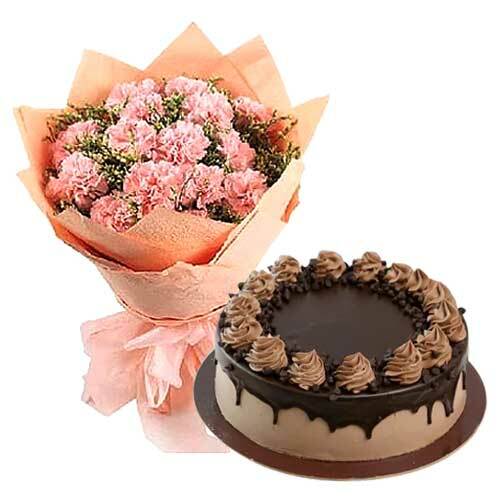 Tighten the bonds of your relationship by sending your loved ones this exotic Carnation Bouquet with mouth-watering Vanilla Cake that they will cherish through their lifetime.